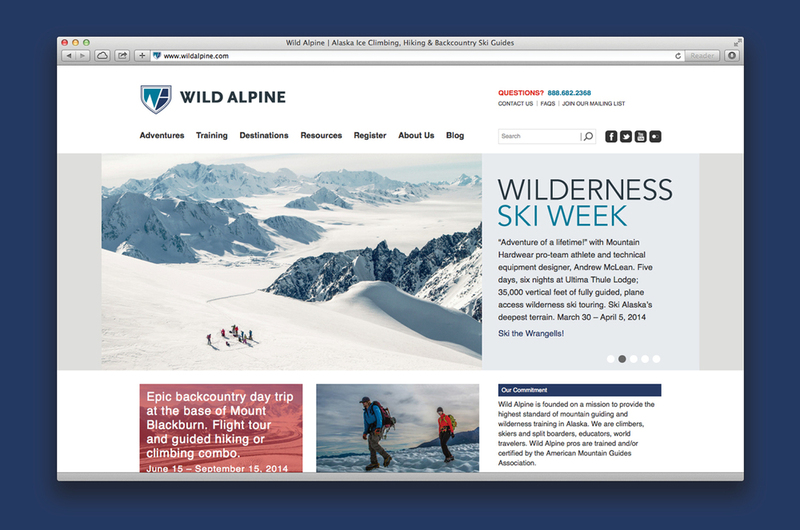 Following the launch of their new identity, PATH was commissioned to design an online presence for Wild Alpine, a mountaineering guide service based in Alaska's Wrangell-St. Elias National Park. The company offers ski-mountaineering, plane-assisted skiing and alpine climbing expeditions in some of the most remote and challenging peaks in North America. 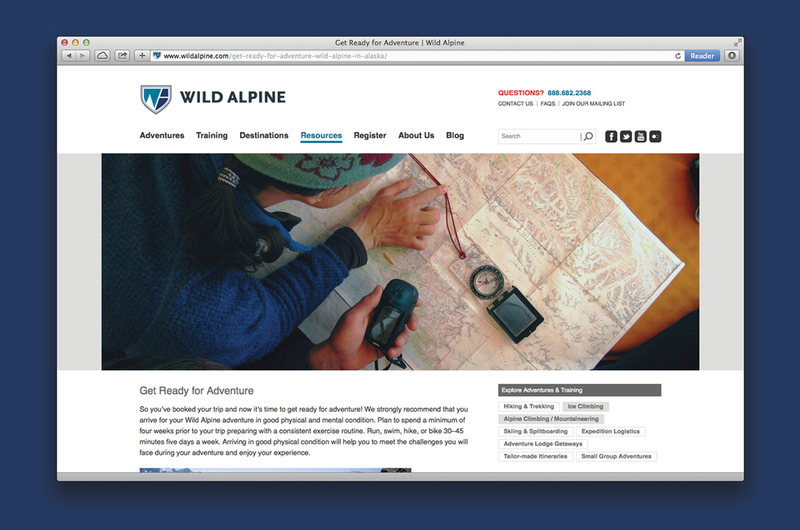 PATH worked closely with Wild Alpine to design a platform that could grow with the company and showcase their vast array of custom adventures. The website allows users to easily research destinations and travel itineraries when booking a trip. 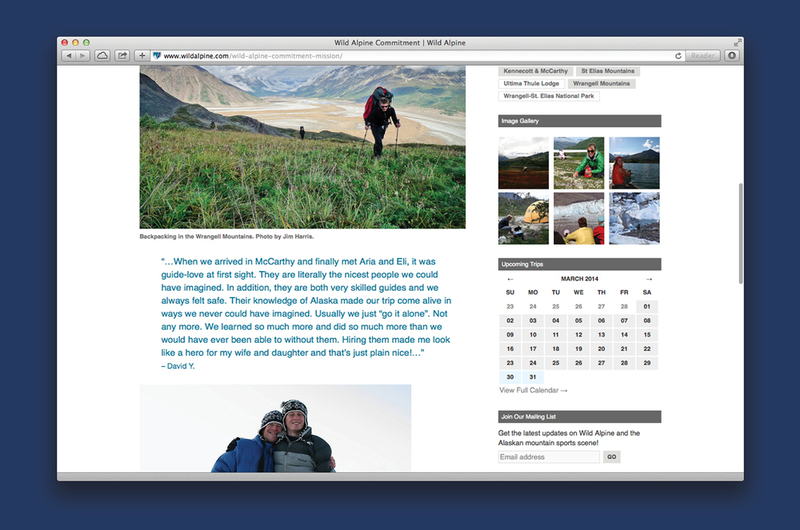 It also features a trip gallery, a blog and an extended collection of travel resources. The site runs on a custom Wordpress theme developed in collaboration with Don Havey and Stacy Kim of Perch.